I haven't quite finished it because I keep going back over previously read pages to more deeply absorb something NEW that I didn't know from their previous work, "The Hoopa Project." In fact, this reading has caused me to pick up the “Hoopa Project” twice to reread and make visual comparisons with some of the images that have crossed my desk over a 24 year period of time. With only one exception, Harvey Pratt's images are a startling reminder of my own experiences but also I see a consistency in his facial reconstructions that mirror many of the descriptions by my informants; especially details heretofore given little attention. It is an absolute thrill to finally see the human aspect in print…the book is definitely a positive foot forward for research. Good grief what a fascinating read...if you think for one minute that there is nothing to be gained by reading their second book, think again, the ground these two men and the NABS team have covered certainly demonstrates exceptional investigative skills; an art form few in research have been trained in, least of all me and certainly above & beyond those skills I've seen demonstrated by individuals schooled in the anthropological disciplines. Paulides approach is new, he's thorough, innovative and best of all he's objective….the man knows his craft; this read is exciting and its been a long time coming…. For me, these two books were a long time coming and I am absorbing Paulides' new material like a sponge. Pratt's ability to capture the fundamental nature of the forms their witnesses have given him in his images is breath-taking and often a cause for reflection. Paulides investigative techniques I have not seen since Jim Hewkin, Jack Sullivan and Joel Hardin exited the Bigfoot arena; his ability for presenting his work in readable form is of course, an additional gift. About the Authors: Dave Paulides holds two degrees from the University of San Francisco, and has a professional background that includes twenty years in law enforcement and senior executive positions in the technology sector. 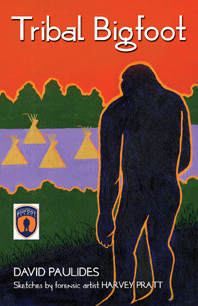 A boyhood camping experience with his father in the late 1960s sparked his interest in Bigfoot. In 2004 he formed North America Bigfoot Search where his investigative and analytical experience were invaluable in researching Bigfoot sightings. He spent two years living among the Hoopa tribal members, listening to and recording their Bigfoot stories. "The Hoopa Project" is his first book, based upon his experiences in the Bluff Creek area of Northern California. 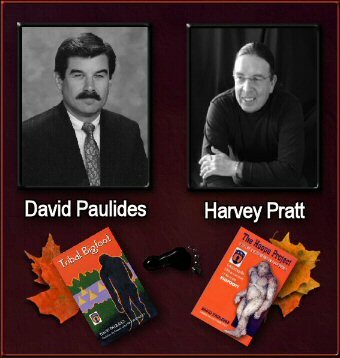 About the Illustrator: Harvey Pratt was educated at the University of Central Oklahoma and Oklahoma State University, and the Federal Bureau of Investigation. During his forty-year career in law enforcement he was involved in many high-profile investigations, including the Green River killer, BTK killer, Ted Bundy, the I-5 killer, and the Murrah Federal Building bombing. Harvey is a highly skilled forensic sketch artist specializing in witness descriptive drawing, skull tracing, age progression, soft tissue reconstruction, and photo restoration. Harvey is a member of the Cheyenne and Arapaho Tribes and is recognized as one of the traditional Cheyenne Peace Chiefs.